What does it mean to "Think Like a Mountain"? When Aldo Leopold, the American hunter turned conservationist, shot his last wolf, his relationship with wild nature changed. Leopold came to understand the role of apex predators in an intricate web of life that connects all living creatures. He called his new philosophy Thinking Like a Mountain. To think like a mountain means having an understanding and appreciation for the interconnectedness of life. Shoot a wolf and you remove not only an individual animal, but its impact on the wider ecosystem, from mountain summit to ocean floor. Our #ThinkLikeAMountain community unites a diverse group of people who see the potential in a wilder Scotland, where nature in all its complexity is reawakened, where natural processes drive vibrant living systems and where sustainable nature-based business supports thriving communities. In coming together our voice is amplified and the case for land, rivers and oceans teeming with life, becomes stronger. Think Like A Mountain, See the Big Picture. Think Like a Mountain. See the Big Picture. Receive our monthly e-magazine rich in rewilding content. Have access to the e-magazine archive (see below). Receive news about rewilding products and events. Be the first to see our latest films. Have the opportunity to support our work and invest in rewilding. #ThinkLikeAMountain community members will find the password in each e-magazine we send out. Invest in our work and help strengthen the case for a wilder Scotland. 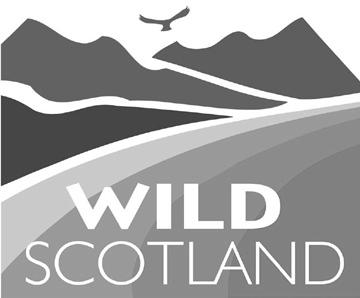 Use our charter to find out how you can help create a wilder Scotland.